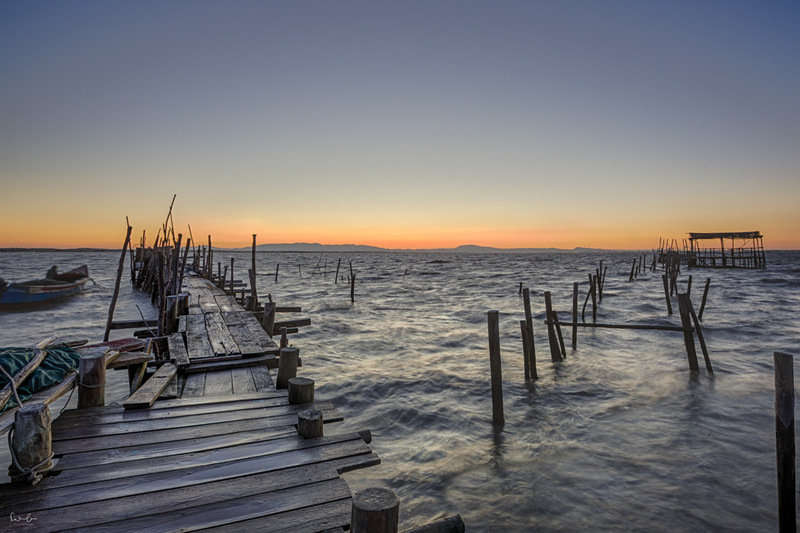 After view days in the vibrant city of Lisbon, you deserve a little quietness. Why not extend your city trip with a beach retreat on one of Portugal’s most beautiful beaches? 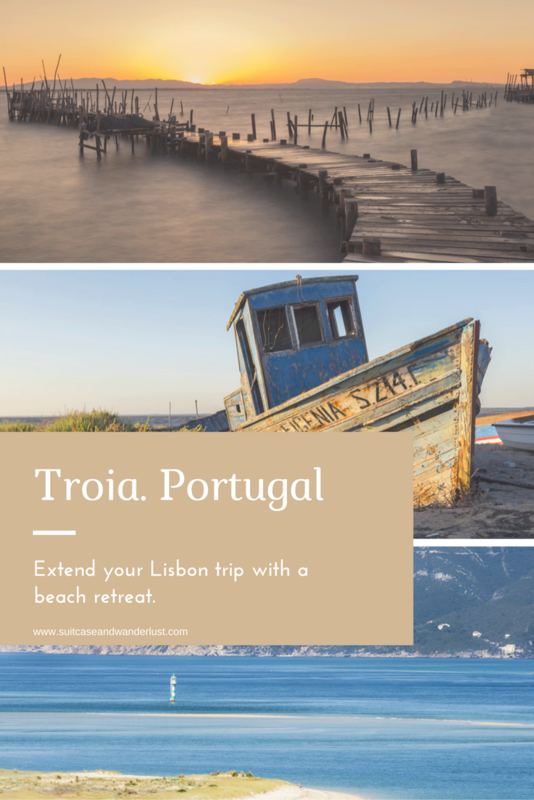 Peninsula Troia is an amazing spot with crystal clear water and plenty of activities only a short drive away from Lisbon. 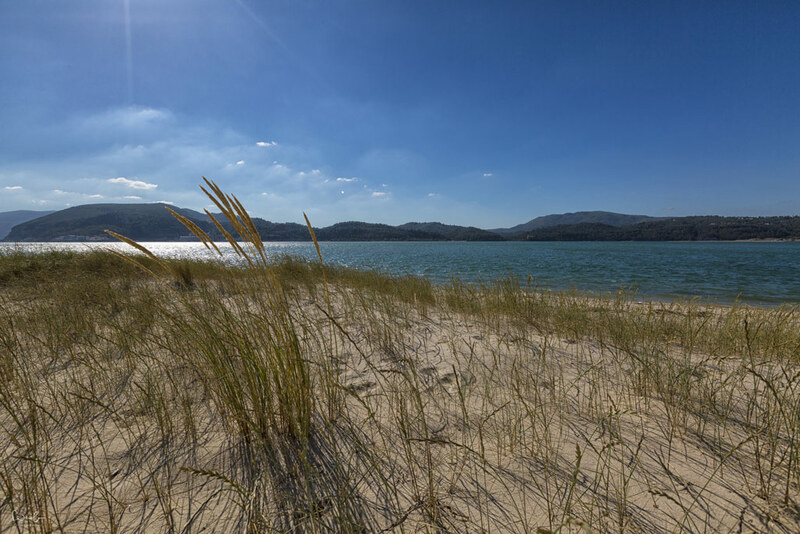 Take the ferry from Setúbal and reach the village with its 18 km long beach. The climate is mild, so you can go there in summer and winter. The golden sandy beach of Troia and the crystal clear water of the sea is just perfect for a few days to relax and literally do nothing. Where to stay? I absolutely recommend the Troia Design Hotel. The rooms are big, clean and have a wonderful view of the sea. The interior is modern and of a minimalist design. Pool, gym, restaurants, spa – you’ve got everything you need to indulge yourself. The main attraction of Troia is the breathtaking beach. It’s perfect for a swim, windsurfing and sailing. You’ll find plenty of restaurants and cafés at the marina for lunch and coffee during your lazy day at the beach or between your watersports activities. The Troia peninsula has great cycle paths to explore the area and it’s all flat. You can cycle in a relaxed way and enjoy the beauty of nature. 3 – Is golf your thing? The golf court of Troia is said to be one of the best in Europe. I’m not into golf, but what I saw when I passed it, it really looks great and fits perfectly into the landscape. Where the river Sado meets the sea it’s very usual to see dolphins. 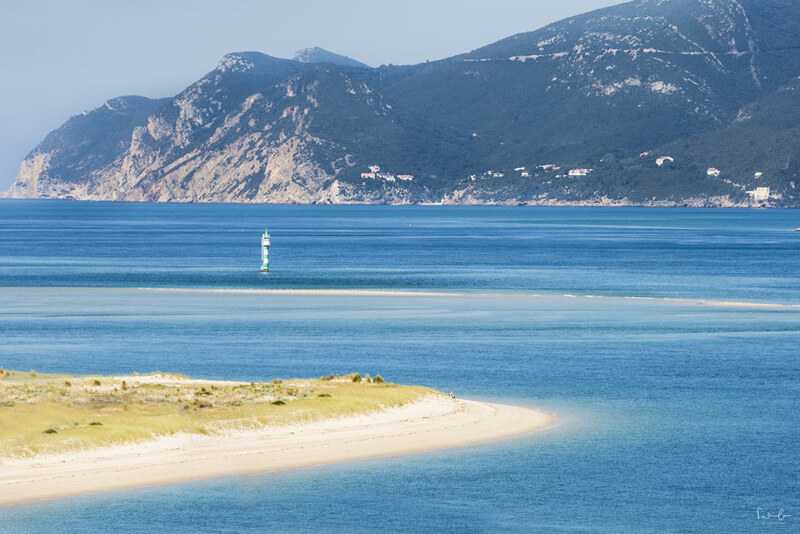 The bay of Setubal is also named the bay of dolphins. There are different boat cruises offered with a very high chance of actually seeing some dolphins. 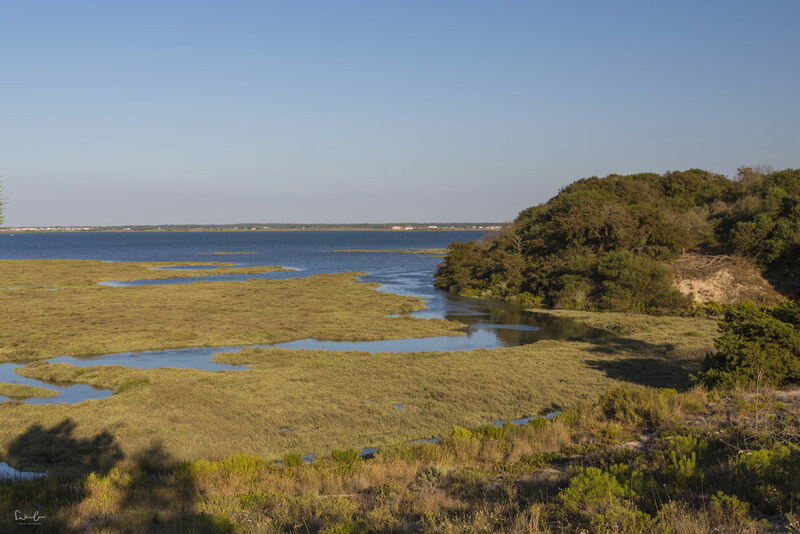 You can explore the Sado Estuary Nature Reserve on a canoe and discover the rich flora and fauna in this region. Adventure included. Going back to the 1st century, the Roman Ruins are a national monument. You can still see houses, baths, factories and a mausoleum. Troia used to be famous for its fish sauce Garum and for the production of salted fish. Today you can still see the huge fish-salting tanks. 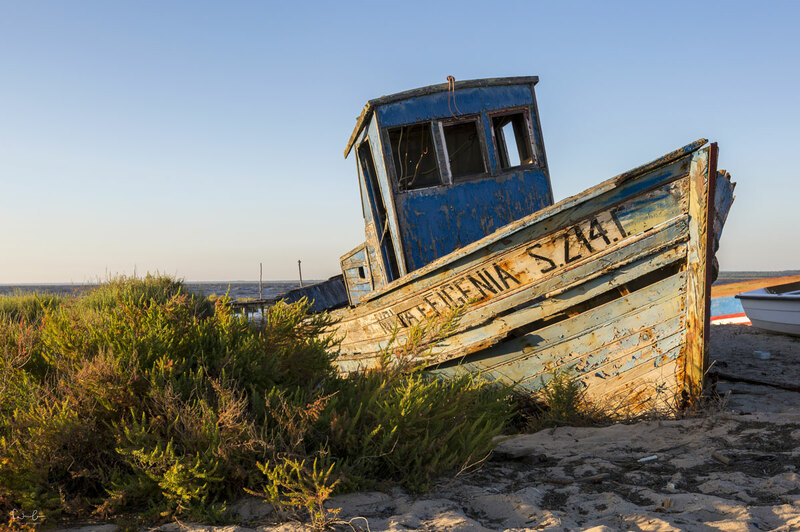 A 20 minutes drive from Troia you can find the little fisherman’s village Carrasqueira, located within the Sado Natural Reserve. The amazing photo spot is where the fisherman’s cabanas are located. It is perfect in the morning for sunrise or in the evening for sunset. Do not go there during the day, because the tide is too low. It might be a bit windy in the evening, so most probably morning is the best time to go. Did you like this post? You can save the pin for later. Check out my top ten things to do in Lisbon here.